Are you filled with starry-eyed sentiment and looking for the perfect destination for an amorous adventure? These luxury hotels and resorts go above and beyond, both near and in far off remote locations, to cater to love birds in search of adventure. Enjoy a pampering stay with your other half that combines both adrenaline-pumping adventure and plenty of relaxation. Whether you're looking for mountaineering, trekking, bungee jumping, climbing, mountain biking, rock climbing, diving, kayaking, and more, we have listed down the 5 best accommodations for adventurous couples. At a handful of the Philippine’s best adventure-centric resorts and lodges, working up a real sweat can be followed by a cool down with massages, fine wines and high-thread count sheets – even better for sleeping on after a long, exhausting day of fun together with your love. Nestled amid Caliraya's breathtaking landscape with spectacular views of Mount Banahaw and pristine beauty of Caliraya Lake, Mountain Lake Resort, a "nature meets adventure" resort that provides raw adventure paired with unprecedented comfort and amenities. 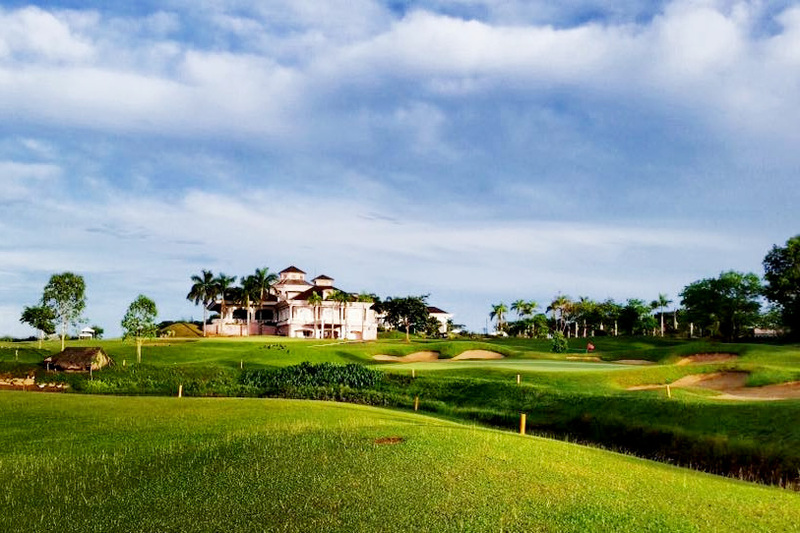 The resort offers the best in golfing for both the amateur and serious golfer. Other activities include kayaking, jetski, lake cruise, horseback riding, biking, zip-line, banana boat, fishing; and one of the best part is riding an ATV to Cavinti Cave. Mountain Lake also offers an in-water obstacle course and is one of the pioneer obstacle courses in the Philippines with 10-stages: Military Climb, Karate Kid, Log Crossing, Slide & Drop, Palo Sebo, Cable Balance, Tire Challenge, Wall Climb Side, and Tarzan Swing. Looking for other Laguna hotels? Click here. 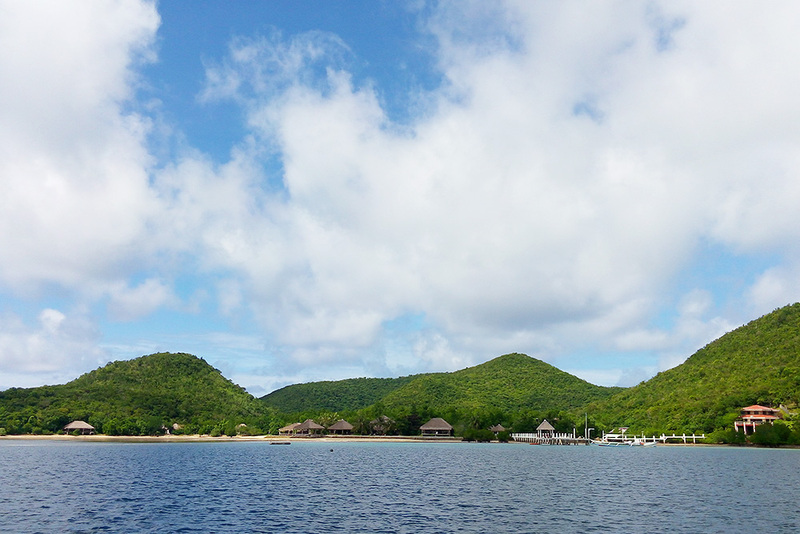 Coral Bay Beach & Dive Resort is nestled among a beautiful archipelago of tropical islands, pearl farms and reefs and provides the perfect getaway for two. This resort has all the romance, tranquility, and adventure of a breath-taking tropical island paradise. Explore the resort and reef adventures, including many romantic experiences. When it comes to a honeymoon hideaway, choose from a lovely array of beach cottages within the island. Click here to read my full review of Coral Bay. 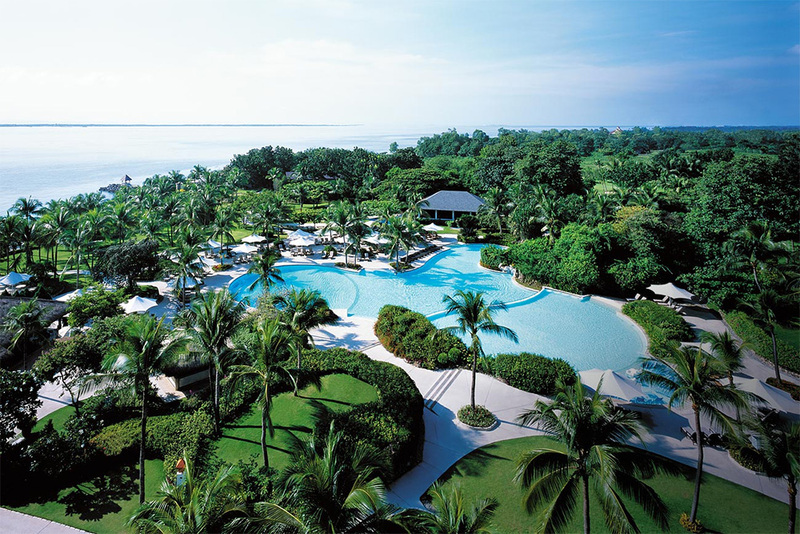 There may be no resort in the Philippines better suited to family's love for adventure getaways than Shangri-La Mactan in Cebu. Whether your plans include family adventure, rejuvenation or pure relaxation, Shangri-La’s Mactan Resort and Spa offers an enticing array of adventurous activities for both adults and children, from scuba diving, para-sailing, kayaking, banana rides, and more. Click here for other Cebu Hotels. Perched atop on a limestone cliff on a remote tip of a secluded peninsula, Amorita Resort tends to get the heart pounding. The luxury resort overlooks the azure–colored Bohol Sea and elegantly punctuates the vibrant tropical landscape along Alona Beach. Other activities in Bohol include ziplining, canopy walk monkey bridge, and a 275 meter bike zip where you can cross from one chocolate hill to another. Aside from the incredible sunsets and delicious food the resort has to offer, why not take The Plunge in Danao, Bohol. It is a 2 hours drive from Panglao Island where Amorita is. The Plunge is said to be one of the world's highest canyon swings. 75-meter free fall? That must be crazy! And yes, the scariest aside from sky diving. Marco Polo Davao provides the perfect setting for a relaxing getaway, a productive business meeting, or a hearty meal with friends or loved ones. 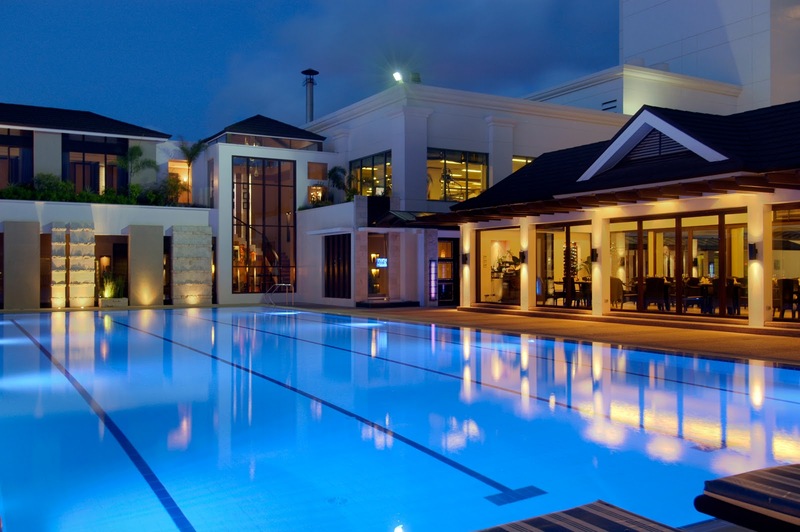 Enjoy its plethora of excellent facilities such as a spa and its therapeutic massage services, the outdoor pool for its cool waters that are perfect for a refreshing swim and more. Adrenaline junkies and hedonists alike will surely enjoy a trip to the Eden Nature Park, Deca Wakeboard Park or to the Davao River where a thrilling heart-pounding river rafting adventure awaits. At these adventure-filled hotels and lodges, the activities are not really optional, but as much a part of the fabric of the place as the beds, showers and Wi-Fi. If you want to learn new activities, get some exercise, explore undiscovered and remote places or physically immerse yourself in some of the Philippines’s most fascinating natural settings and cultures, these 5 best hotels & resorts for adventurous couples are the place to start. These sound amazing, I don't know which one I'd pick! My husband is VERY picky about resorts, so I love to have reviews and recommendations. Great list. I love some action and adventure during traveling. So this list is great for me! The Amorita Resort, Bohol sounds just perfect. The plunge is something I would definitely try! Looks like most of these are pricey. Haha! But, for a couple who are really into adventure and vacation, they might just splurge and really enjoy these. I may put this in my bookmarked posts for my future reference. But all you listed here are really such nice hotels!! 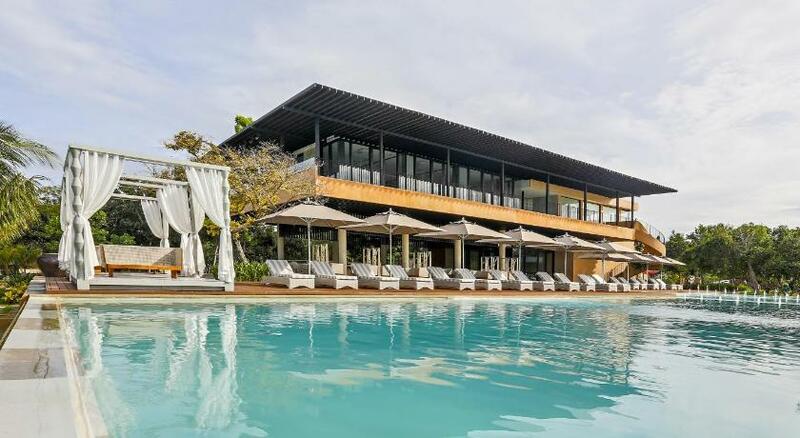 Amorita Resort in Bohol looks nice and the place sounds fun! Would love to try ziplining and the canopy walk monkey bridge. Not that keen on The Plunge though, it sounds too extreme! I love some adventure whilst travelling. There's nothing more interesting than being able to enjoy some activities whilst you're on vacation at a resort. I've heard about the Shangri-La in Cebu, and I guess it's one I have to try! Thanks for all the infos and the references, it's such a nice help! This post is so fitting 'cause I'm planning for a staycation! We might try Mountain Lake resort since it's just a few hours drive from home. I fell inlove with that grass fields instantly! These hotels are truly mesmerizing. These photographs forcing me to go there and enjoy. In fact, I love the adventure activities and often perform as my hobby. Swimming pools here are very much inviting. Basically I love to stay in beach side resorts that can provide the opportunity of living life with nature. And I always pre-book the hotel room tickets to avoid congestion in the arrival. It also helps me to get a hotel according to my requirements.